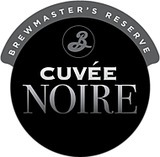 Brooklyn Cuvée Noire starts with a solid base of German malts, builds color and flavor from British and American roasted malts, gains rum notes from Mauritius raw sugar, grabs a hint of citrus from sweet orange peel, and then ferments under the flag of Belgium. Our Belgian house yeast lends the beer a gentle spiciness on a dry, brisk palate displaying light notes of chocolate, coffee and citrus, all underneath a fluffy tan head. The finish is clean and dry. Cuvée Noire is big enough to take a steak to dinner, roasty enough to love Mexican molé sauce, and complex enough to enjoy with nothing more than a good conversation.